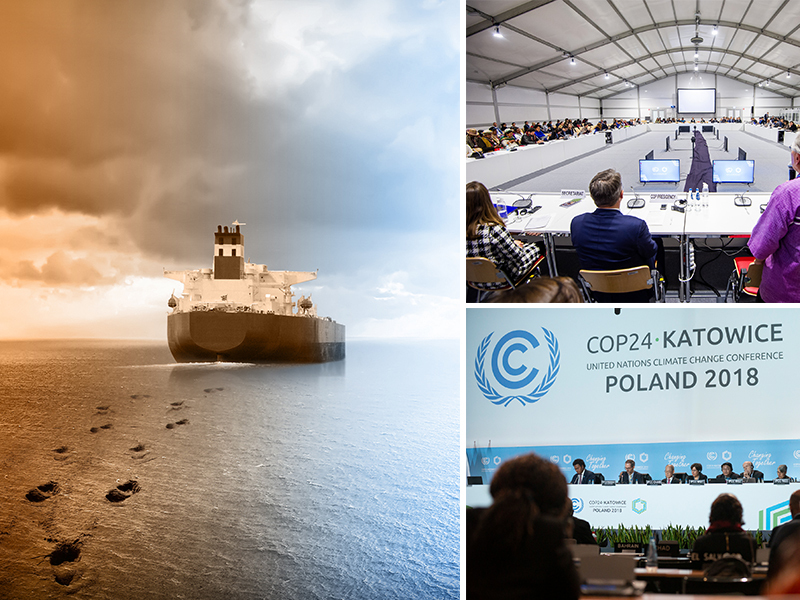 IMO is at the UN climate change conference (COP 24) in Poland, highlighting key elements of the Initial IMO Strategy on reduction of GHG emissions from ships. The strategy sets out a vision to reduce the total annual GHG emissions by at least 50% by 2050 compared to 2008, while, at the same time, pursuing efforts towards phasing them out entirely. This sets a pathway of CO2 emissions reduction consistent with the Paris Agreement temperature goals.